A W Tozer’s fans stretch across the world, and his message continues to resonate with today’s Christians. Whether you’re a Tozer fan yourself, or someone looking for an introduction to his writing, this is an ideal resource book of the prolific author and pastor’s thoughts. 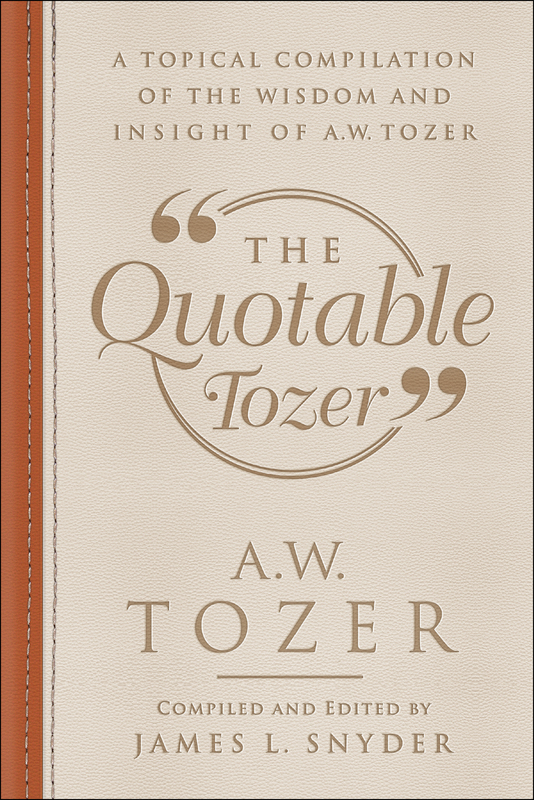 The Quotable Tozer is organized around dozens of topics, including popular culture, the nature of God, spiritual warfare, God’s Word, and the afterlife. In addition to the book’s appeal to the curious Tozer fan, it is also perfect for preachers and teachers. Going beyond his most well-known books, this volume gives readers access to the true breadth of Tozer’s work and thoughts.